Earlier during the match when Ganguly was batting Steve Waugh had a heated exchange with him. When Australia comes to bat Ganguly returns the favor by getting his wicket. Steve Waugh is caught by Sachin Tendulkar in Ganguly's ball. 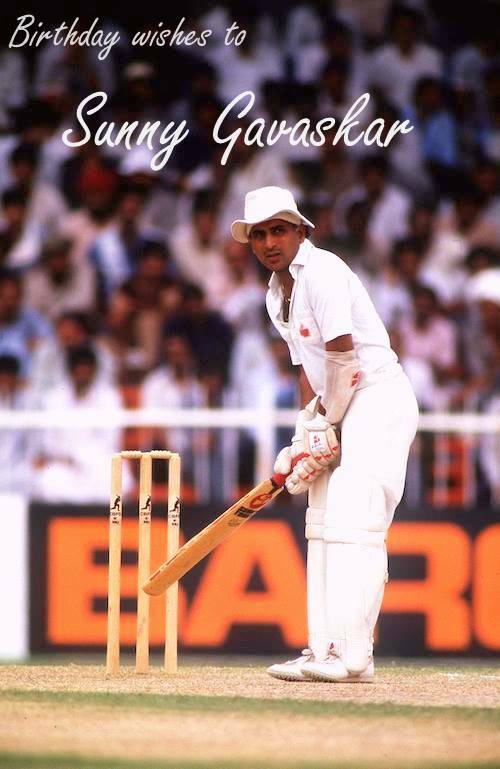 We wish a very happy birthday to the Legend Sunny Gavaskar, who turned 64 today. Gavaskar till date is India's best test opener and has been an inspiration to many young cricketers like Dravid and Tendulkar who idolized him. 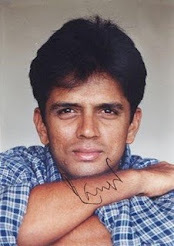 He was widely known for his ability to perform well against fast bowlers and often he went out to bat without a helmet. His average of 65 against West Indies indicates how well he played fast bowlers of that era. He is the first player in test history to cross 10,000 runs. We wish him good health and happiness.